1) (Earl Marischal; the junior branches of this ancient and distinguished race were the Keiths of Galstoun, of Ludquhairn and Innerugie; of Northfield, of Auquhorsk, of Garvock, of Uras, of Dunottar, and Ravelstoun, &c. James, the celebrated Field-Marshal Keith, so distinguished in the wars of Frederick the Great, was second son of William ninth Earl Marischal). Ar. on a chief gu. three palets or. Crest—A hart’s head erased ppr. armed with ten tynes or. Supporters—Two harts ppr. attired as in the crest. Motto—Veritas vincit: behind the shield two batons gu. semée of thistles, ensigned on the top with an imperial crown or, placed saltireways as badges of the office of Great Marischal of Scotland. 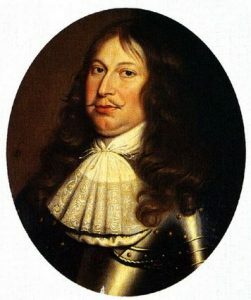 2) Keith-Falconer (Earl of Kintore). Quarterly, 1st and 4th, gu. a sceptre and sword in saltire, with an imperial crown in chief, within an orle of eight thistles or, as a coat of augmentation; 2nd and 3rd, ar. on a chief gu. three palleta or, for Keith. Crest—A demi woman richly attired, holding in the dexter hand a garland of laurel ppr. Motto—Quae amissa salva. 3) (Lord Altrie, Scotland). Quarterly, 1st and 4th, or, a saltire and chief gu. ; 2nd and 3rd, ar. on a chief gu. three pallets or. Crest—A rock ppr. Supporters—Dexter, a unicorn ar. horned and unguled or; sinister, a deer ppr. Motto—Watch the temptation. 4) (Lord Dingwall, Scotland). Quarterly, 1st and 4th, ar. on a chief gu. three palets or; 2nd and 3rd, gu. a lion ramp. ar. Crest—A stag’s head couped ppr. Motto—Memento creatorem. 5) (Ravelston, co. Edinburgh, and Dunnottar, co. Kincardine; as recorded 1737). Ar. a lymphad sa. on a chief gu. three pallets or. Crest—A dexter arm grasping a dagger ppr. Motto—Pro veritate. The principal arms and supporters of the family were recorded for Alexander Keith, of Ravelston and Dunnottar, as heir male of the Earls Marischal in 1801. The heiress m. in 1833, Sir William Murray, of Ochtertyre, Bart. 6) (Auquhorsk, co. Aberdeen). Ar. on a chief gu. three pallets or, differenced by a buckle of the third. Crest—A hand holding a writing pen ppr. Motto—Et loquor et taceo. 7) (Craig, co. Kincardine). Ar. on a chief embattled gu. three pallets or, a bordure also embattled of the second. Crest—A stag standing at gaze under a hollybush ppr. Motto—Fortiter qui sedulo. 8) (Craig; as recorded 1769, for Robert Keith, Ambassador to the Courts of Vienna and St. Petersburgh). Quarterly, 1st and 4th, as the last; 2nd and 3rd, or, a fetterlock sa. on a chief az. three stars ar., for Murray. Crest—An ermine ppr. Supporters—Two roebucks ppr. attired and unguled or, both collared, that on the dexter gu. charged with three pallets or, that on the sinister az. with three stars ar. having chains affixed thereto passing betw. their forelegs and reflexed over their backs or. Motto—Ex candore decus. 9) (Montrose, descended of Craig, 1737). Ar. an anchor in pale az. on a chief embattled gu. three pallets or, a bordure also embattled of the third. Crest—A hand holding a thunderbolt winged or. Motto—Fortiter qui sedulo. 10) (Ostend, descended of Crichie, 1791). Ar. a heart gu. within a bordure az. on a chief of the second three pallets or, charged with a star of the third. Crest—A demi lion ramp. ppr. Motto—Recta sequor. 11) (Harthill, co. Aberdeen). Or, a cross crosslet fitchée az. betw. two crescents in chief and a fusil in base gu. 12) (Innerugie, co. Aberdeen). Ar. a chief paly of six or and gu. within a bordure engr. sa. 13) (Ludquhairn, co. Aberdeen). Ar. a cross crosslet fitchée and an escallop az. in fesse, on a chief gu. three palets or. Crest—A dexter hand casting an anchor in the water. Motto—Remember thy end. 14) (Arthur House, co. Kincardine, 1672). Ar. a saltire gu. on a chief of the last three palleta or, all within a bordure compony az. and of the first. Crest—A dexter hand holding a pike erect ppr. Motto—Justa sequor. 15) (Ravenscraig, co. Aberdeen). Ar. on a chief gu. three palets or, quartering or, three cushions gu. within a double tressure counterflowered of the last, for Randolph. 16) (Tillygone, co. Kincardine). Parted per fesse or and ar. on the first three demi palets gu. and in base a man’s heart of the last. Crest—A lure ppr. Motto—Venit ab astris. 17) (Scotland) Ar. on a chief gu. three pales or. 18) (Scotland) Paly of six, or and gules. 19) (Sir Robert Murray, installed Knight of the Bath, 15th June, 1772) (for Keith) (for Murray). Quarterly; first and fourth, ar. a bordure embattled gu. on a chief of the last, three pallets or, ; second and third, or, a fetter-lock sa. on a chief az. three estoiles ar. .-Crest, an ermine, passant, ppr. over the crest this motto, Ex candore decus. Supporters, two stags ppr. attired or, the dexter gorged with a collar az. charged with three estoiles ar. to the collar a chain or, the sinister gorged with a collar gu. charged with three pallets or, to the collar a chain of the last. Motto, Animum rege. 20) (Auquhorsk, Scotland) Ar. a chief paly of six, gu. and or, on the second a buckle of the first. 21) (Inverugie, Scotland) Ar. a chief paly of six, or and gu. within a bordure engr. sa. 22) (Arthurhouse, Scotland) Ar. a saltier and chief gu. the last charged with three pallets or, all within a bordure, compony, az. and ar.-Crest, a dexter hand, holding a pick, erect, ppr. headed ar. This is a locational or habitational surname describing a person who lived in or was from the lands of Keith in East Lothian, Scotland. In the 1600s, many bearers of this surname settled in Ulster (Protestant Lowland Scottish migrants settled in the Ulster region of Ireland, giving rise to the term Ulster-Scots or Scots-Irish). As to the origins of the people who first inhabited Keith, one historian believes they descended from an old Germanic tribe named the Catti or Chatti, who in early medieval times lived in what is now Hesse or Hesse-Kassel, Germany. The tribes name may have taken from the animal sacred to Freyda). The story goes that this Rhineland tribe was battle Romans in the Hercynian forest, and their retreat forced them to the coast of Holland. One branch of this family emigrated to Britain around 76 AD and they ended up living in lands called Katness or Caithness (Catti’s promontory) in northern Scotland. Gilli Chattan Moor lived during the reign of King Alpine (831-834 AD) and from him descend the Kethi, Keychts, Keth, or Keiths, as well as the MacPhersons, Sutherlands, and MacIntoshes. One branch of this tribe came to Ireland in the 1000s AD with a leader named Robert, who helped defeat the Danes (Vikings) under Camus (a Danish general who had invaded Scotland) at the Battle of Barry in 1010 AD. From Robert descended Herveus de Keth, who in the mid twelfth century was titled “Marescallus Regis Scotiae” and “Great Marischal”. Some say the name derives from the Gaelic word gaoth, meaning wind, and when pronounced sounded similar to Keith. The old town and kirk are called Arkeith, which could be a corruptions of the Gaelic ard gaoth, meaning “high wind”, as the area was known for strong gusts of wind. Another author believes the name may also have been derives from a locality known as Keith, which was an estate in the parish of Humble, Haddingtonshire. This Scottish Clan has historically held the hereditary title of the Great Marischal of Scotland. The name derives from the Cumbric form of the modern Welsh word coed, meaning wood. The clan’s slogan or way cry is A Keith, Veritas Vincit (also Truth prevails). Their plant is the white rose. Their animal is the badger. They are seated at Keith Hall, Aberdeenshire. They have been historically seated as the three following locations: Keith Marischal House, Dunnottar Castle, and Fetteresso Castle. Historically, their rival clans were Clan Irvine and Clan Gunn, where as their allies were Clan Forbes and Clan Cameron. The clan’s current chief is James William Falconer Keith, the 14th Earl of Kintore, who was born in 1976. The last name Keith ranks 663rd in popularity in the United Status as of the 2000 Census. The name ranks particularly high in the following four states: Tennessee, Alabama, Kentucky, and Oklahoma.The surname Keith frequency/commonness ranks as follows in the British Isles: England (1,748th), Scotland (543rd), Wales (6,104th), Ireland (2,912nd) and Northern Ireland (2,133rd). In England, it ranks highest in county Northumberland. In Scotland, the surname ranks highest in counties Caithness and Aberdeenshire. In Wales, it ranks highest in Pembrokeshire. In Ireland, it ranks highest in county Cavan. In Northern Ireland, it ranks highest in county Down. The name is also present throughout the remainder English speaking world: Canada (1,350th), New Zealand (966th), Australia (1,664th), and South Africa (5,450th). Malcom de Keth is recorded on three separate occasions, the earliest being 1185 AD. A man named Bernard de Keth witnessed a charter by Hugh Rydale, dominus de Craneston in around 1200 AD. Magister John de Keth, a cleric, was documented sometime between 1238-1270 AD. Johannes de Keth was documented in Perth in 1289 AD. Bernard de Keht was recorded in Berwick in 1296 AD. Andreas Keathe, Scottish by blood, was a councilor to the King of Sweden around 1584 AD. 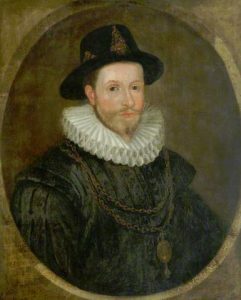 A one Robert Keathe of Yorkshire was recorded in the Register of the University of Oxford in 1582. An early marriage involving this name was John Keith to Ann Sweeting at Canterbury in 1675. 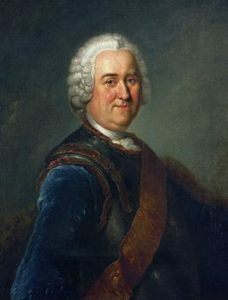 George Keith, 10th Earl Marischal (1693-1778). The Keith Baronetcy of Powburn was created in the Baronetage of Nova Scotia, Canada on 4 June 1663 for James (or George) Keith. It became either extinct or dormant on his death sometime after 1663. There were also Keith Baronets of Ravelston and Dunottar. The first was Sir Alexander Keith (died 1819) who was a co-founder of the Royal Society of Edinburgh, and the second was his son, also named Sir Alexander, who died in 1832. There were also families who were Barons of Keith, a title which was created three times in British history, all for the same person, the Admiral and Honourable Sir George Keith Elphinstone, the son of Charles Elphinstone, the 10th Lord Elphinstone). Reverend James Keith Sr. was born in Aberdeenshire, Scotland around 1643. He was possible the son of Robert Keith or Alexander Keith. He came to Boston, Massachusetts in 1662. He likely did this for two reasons: a) he was invited by the leaders of the Massachusetts Bay Colony and b) the passing of the Act of Uniformity in 1662 which forced all ministers in Great Britain to swear adherence to Episcopal scriptures and rights. He married twice in the New World: Susanna Edson and later Mary Macey. Had had the following children: Susanna (Howard), James, Mary (Howard), Margaret (Hunt), Joseph, Samuel, Josiah, Timothy, and John. 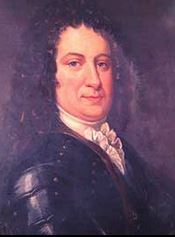 His son Samuel was born in Bridgewater, Plymouth County around 1677. He married Bethiah Fobes and had the following issue with her: Constant (Howard), Amos, Bethiah (Washburn), Susanna (Ames), Ebenezer, Robert, Jane (Cowing), and Benjamin. His son Ebenzer Keith was born in Bridgewater in 1716. He married Mary Pierce and later Hepzibah Perkins. He had the following issue: Luther, Rachel, Mary (Leach), Ebenezer, Amos, Lucy, Susanna, Caleb, Calvin, Hepzibah, Alexander, and Lavinia Vienna. His son Caleb Keith was born in the same town in 1755. He married Susanna Mitchell and had the following issue: Caleb Jr., Anna, Mitchell, Nathan, Susannah, Polly, Julia, Cary M., Carlos, and Sally. Caleb Jr. was born in Bridgewater, MA in 1777. He married Patty Martha Strickland in Windsor, Vermont and had the following children with her: Solon, Robert S., Caleb Mitchell, Cary, and Carlos. Solon Keith was born in New Hampshire in 1809. He married Lucy P. Ray and had two daughters with her: Ama Viola (Pennington) and Mary Eva (Wood), born in 1846 and 1857, respectively. 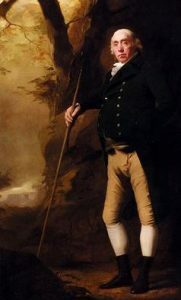 James Keith was born in 1720 and came to Virginia. He had a son named William. William was born in Franklin, Fairfax, Virginia in 1755. He married Polly Allen in Kentucky in 1813. He had a son named John. John Keith was born in Virginia in 1788. He married Marry Allen and had a son with her. This son, Clayborn Keith (or Keeth), was born in Wayne, Kentucky in 1814. He married Permelia Milly Durham and had a daughter with her named Nancy (Thompson) who was born in 1839. 1) A Mr. Keth or Keyth was recorded as living in Virginia in February of 1623. It is assumed this man was Georg Keth, who at the age of 40, came to Virginia aboard the George in 1617. He owned 100 acres of land. 2) Henry Keith came to Virginia in August 1679 aboard the Young William. 3) James Keith, the first minister of Bridgewater, MA, was educated a college in Aberdeen, Scotland, and came around 1662 He was ordained in 1664. He died in 1719 at the age of 76. He married twice: Susanna (likely daughter of deacon Samuel Edson) and Mary Williams of Taunton. In Canada, one of the first settlers bearing this last name was Captain Keith Daniel, who was born in Dublin, Ireland in 1785. He was a United Empire Loyalist (remained loyal to the British Crown during the American Revolution). He was married to Elizabeth Disbrown and they had 14 children before his 1830 death. He lived in New Brunswick and served in the Queen’s Rangers as a Private and then Sergeant. In Australia, one of the first settlers with this last name was Jane Keith, a convict from Kent, England who came to Van Diemen’s Land (Tasmania) aboard the Arab in 1835. Years later, in 1853, George Keith, a carpenter aged 28 years old, came to South Australia aboard the Marshall Bennett. In New Zealand, Alexander Keith, a shepherd by occupation aged 34 years, came to the city of Wellington in 1840 aboard the Blenheim. In 1863, Mary Keith came to the city of Auckland aboard the Annie Wilson. In 1864, James R. and Anne Keith came to Auckland aboard the Ulcoats. Charles Bolton’s American Armory (1927) contains one entry for this surname: Argent on a chief gules 3 palets or Crest: a hart’s head erased [proper] armed with 10 tynes or, surmounting a crown or. Supporters: 2 harts [proper]. Behind the shield 2 batons in saltire, the tops crowned. Motto: Veritas vincit. James Keith, Boston. Notepaper. See Burke Gen. Armory. Matthew’s American Armoury and Bluebook (1907) and Crozier’s General Armory (1904) do not contains any entries for this last name. *Referring to the Scotch regalia, which were saved from Cromwell by Sir John Keith, Earl Marshal, who buried them in Kinneff Church, and flying to France, was supposed to have taken them with him. For this service he was raised to the peerage in 1677. There are hundreds of notable people with the Keith surname. This page will mention a handful. Famous people with this last name include: 1) Alexander Keith (1795-1873) who was a Scottish born politician active in Canada, who was the 4th Mayor of Halifax and later the President of the Legislative Council of Nova Scotia, 2) James Francis Edward Keith (1696-1758) who was a Scottish soldier and Prussian field marshal born in Inverugie Castle, Scotland who fought in the Anglo-Spanish War, Russo-Swedish War, Jacobite Rising, and Seven Years’ War, 3) George Noel Keith (1921-1943) who was a fighter pilot and flying ace for the Royal Canadian Air Force in World War 2, born in Cardston, Alberta, 4) Duncan Keith (1983) is a Canadian ice hockey player from Winnipeg, Manitoba who played for the Chicago Blackhawks from 2003-2018, 5) Donald Raymond Keith (1927-2004) who was an American Army General born in Ludington, Michigan who served in World War II, 6) Hastings Keith (1915-2005) who was a member of the US House of Representatives for Massachusetts from 1959-1973 who had served in World War II, 7) Kenton Wesley Keith (1939) who was a career diplomat and ambassador to Qatar from 1992-1995, having been born in Kansas City, Missouri, 8) Sir William Keith (1669-1749) who was born in Boddam Castle, Scotland and served as the lieutenant governor of the colonies of Pennsylvania and Delaware from 1717-1726, 9) Sir Robert Keith (died 1332) who was a Scottish Knight and diplomat who commanded soldiers loyal to Robert The Bruce at the famous Battle of Bannockburn, and 1) Isabelle Keith (1898-1979) who was an American actress born in New York City who appeared in 42 films from 1919-1936. According to KeithClan.net “It is often reported that King Malcolm II dipped three fingers into the blood Camus, the slain Dane, and drew vertical stripes upon the shield of Robert, leader of the Catti troops, in the year 1010. These stripes then became the identifying marks for Robert’s descendants, under the surname of Keith, along with a motto quoting Malcolm’s words, Veritas Vincit”.